Pan Macmillan and their imprints are really on a roll at the moment. Tigers in Red Weather was THE book of the summer, and When Nights Were Cold has been one of my favourites of the year. 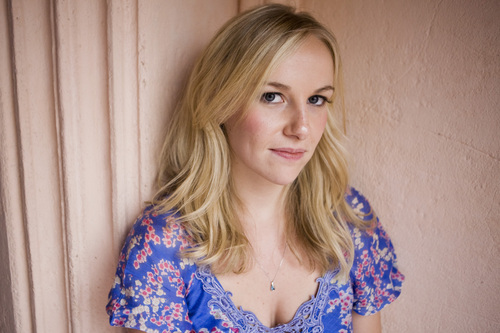 Now they have two great novels being published in early 2013, one of which is How To Be A Good Wife by yet another graduate of the Creative Writing MA at Royal Holloway, Emma Chapman. It’s not going to be published for another three months but it’s already creating quite a stir, not least because Picador offered Emma and her agent a pre-emptive deal and nabbed the book before anyone else. Impressive work on both sides! A powerful, original and haunting debut: hard to put down and impossible to forget. Pretty good, huh? Sounds like it would make an excellent film, in my opinion. It definitely makes for an excellent novel. Marta is a new take on the classic unreliable narrator, as she starts to see things that aren’t there – though they feel real to her. As the blurb suggests, she may actually be remembering things; but the things she sees are pretty unpleasant and upsetting – so what could they mean? There is a menacing sense of mystery throughout How To Be A Good Wife. More than anything the reader fears what they do not know – like Marta our imaginations are vivid and they scare us more than the facts we have. Two thirds of the novel show Marta in her everyday life, cleaning, cooking – and seeing a skinny blonde girl in pyjamas around her house. She laments her son Kylan growing up and moving out, desperate to hold onto the happier times of his childhood. She listens out for sounds of her husband around the house and reminds herself how to behave by reciting phrases from a book her mother-in-law gave her for a wedding present – a mid 20th century manual for housewives entitled ‘How To Be A Good Wife’. The instructions are intended to make the wife a passive presence in the house and elevate the husband, and in the context of Marta and Hector’s uneasy life the words from the book seem even more unsettling. Never question his authority, for he always does what is best for the family, and has your interests at heart. Always wait for him before you begin eating: he should always come first. Marta repeats these things to herself, remembering how to behave. Though we never see Hector shout at her or threaten her, he is an overbearing presence. He asks her whether she has taken her medication (its nature is never specified), and asks her to open her mouth, like a child or a pet, so he can place the pill on her tongue. I love the opening scene in this book. Marta is smoking, but does not remember becoming a smoker. ‘I did not know this about myself. As far as I remember, I have never smoked before.’ Already the reader is asking questions, and wondering about the truth. Marta thinks about what she should be doing, and what Hector expects, and eventually hides the cigarettes and gets back to work. Her lack of knowledge about herself and the obvious role Hector plays in her behaviours is fascinating. Already we see that he controls her image of a ‘good wife’ and she knows she should adhere to his wishes and tastes. In this opening scene we are also introduced to Marta’s obsession with the time. She checks her watch continually, stating it is ‘important’ for her to know the correct time, so that she fits in with Hector’s schedule. There seems to be more to it though. Chapman uses time to demonstrate Marta’s boredom and frustration as well: at one point she checks her watch and goes to look out into the garden. In the next paragraph two hours have passed and nothing has happened – was she looking out of the window the whole time? She lives in a bubble of housework and fear. 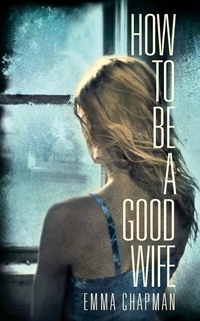 How To Be A Good Wife does not so much have a twist as a secret truth that slowly works its way out of Marta’s mind and is revealed, in part, to the reader. Of course, Marta herself admits she is mentally unstable, and Hector’s insistence on her medication only encourages this – so how can the reader know what is true and what isn’t? There is also the question of why this all happens. Marta and Hector have been married for twenty-five years, and she has been taking this mystery medication the whole time. It is mentioned more than once that there have been periods when she stopped taking the pills – very ‘you know how you get’ – but now we learn that she hasn’t taken them for two months, the longest she has ever gone without them. This seems to be why her visions are coming to her so strongly, and appearing so vividly before her, to the extent that she can touch the girl who appears, and feel the mass of hair filling the water in the sink. There are moments of classic horror, strange shadows and the hair in the sink – and quite a psychological angle as Marta tries to work everything out. It is an examination of what the mind is capable of, and Chapman has stated that a documentary she saw about post-traumatic stress syndrome helped inspire her. Her plotting and structure are really something to be admired, as is her portrayal of such a complex character as Marta in the narrator role. I was surprised at how short the novel is (less than 200 pages) but really it doesn’t need to be any longer. Chapman is careful and precise, laying out her story before the reader and slowly unfolding it like cloth. It does not take long to reach the end, but once it is over there seems to be so much more that we still do not know. Published on 3rd January 2013 by Picador, an imprint of Pan Macmillan. My copy was kindly provided by the publisher for review. You make this sound wonderful, so that’s another book to go on my ever-expanding wishlist. Glad you like the review, and you should definitely read it. It’s so gripping you get through it too fast!